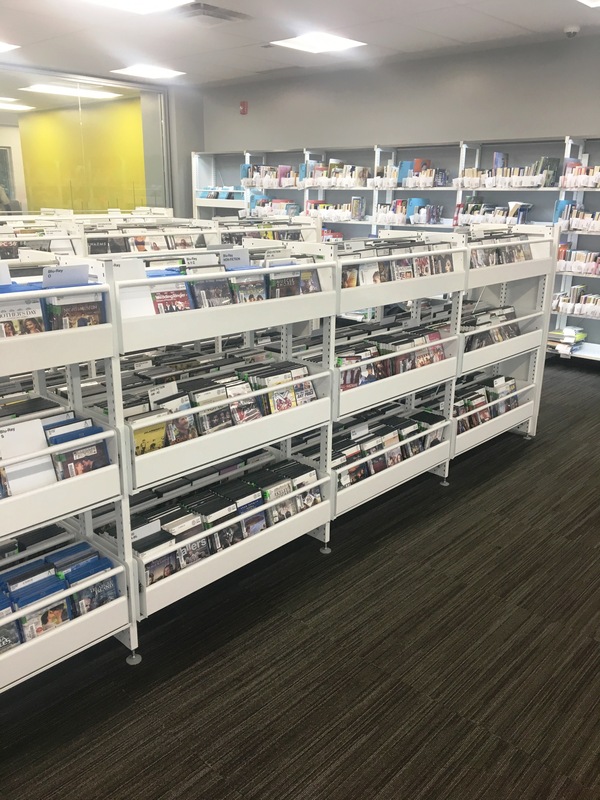 BCI was once again on the scene at The East Baton Rouge Parish Library (EBRPL). This time, BCI worked with Modern Library Furniture dealer, Arnold & Associates Interiors Inc., to renovate Bluebonnet Library, which is one of thirteen library branches in the EBRPL. The concept was to inspire teens through interactive furniture items and bright colors throughout the space. 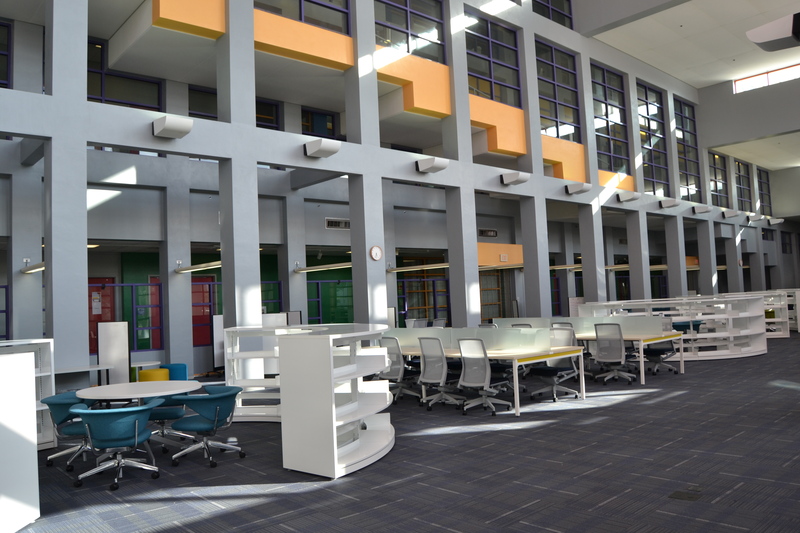 In a previous renovation at Bluebonnet Library, BCI provided INFORM Desk Systems for the Adult Section, and INFORM Desk Systems for Children’s Area. 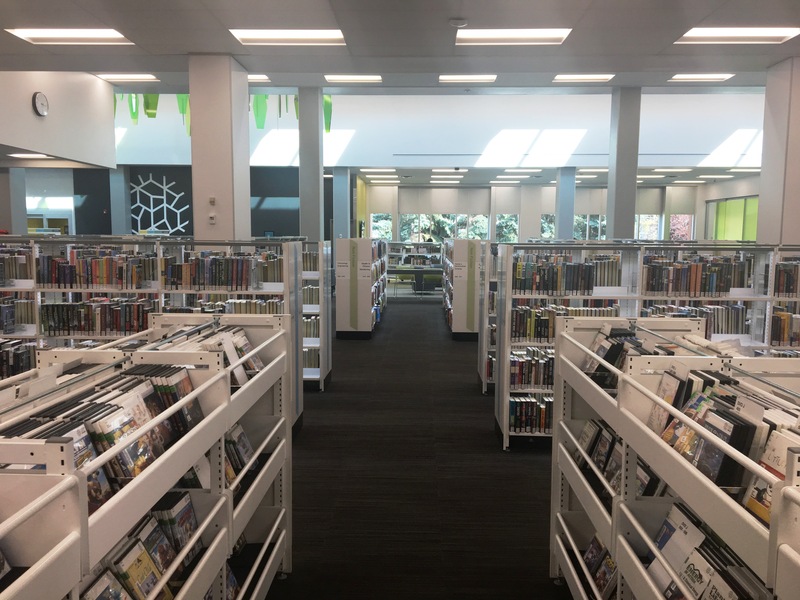 Renovations to the Bluebonnet library started in 2015, but thanks to an 11.1-mill property tax dedicated to the library, there are more renovations to come for the EBRPL. Several libraries in the system are slated for upgrades over the next several years. Teen rooms and meeting spaces are the main concentrations for such renovations. 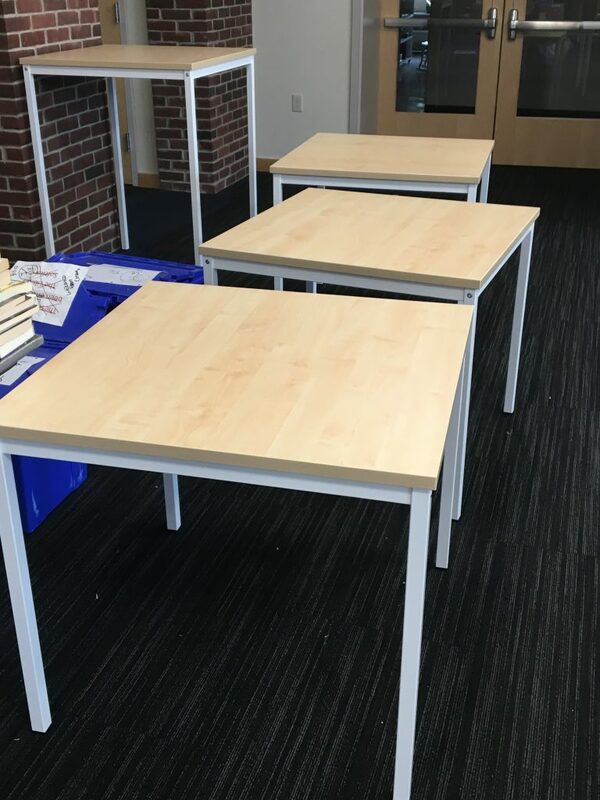 BCI Modern Library Furniture is back at it at Miami Dade College doing another renovation project. ? Thank you JC White Architectural Interior Products for the photos of the finished products! Miami Dade College Project is Complete! If there is a library renovation project coming up in your future, contact us today — specialists are standing by to answer all your questions. 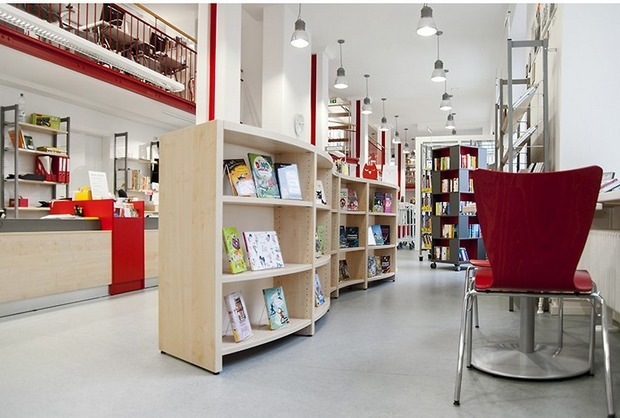 We have a wealth of experience in the field of library design and installation. 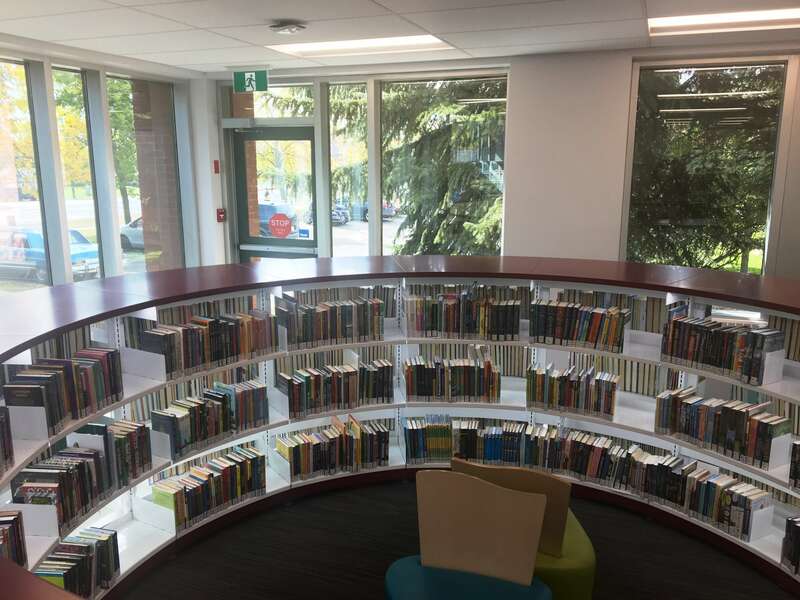 As a follow-up to our “Calgary, Alberta Public Libraries Getting a Renovation With BCI Modern Library Furniture”, the completed photos from the Nose Hill branch library are here and they are amazing!! ?? 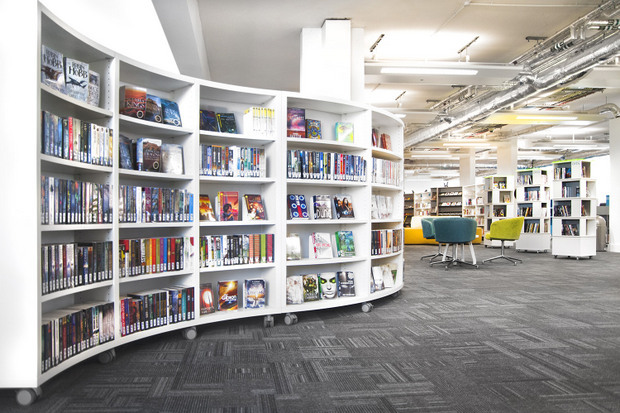 BCI Modern Library Furniture has over 30 years experience and is standing by to assist you in your next project – click here to contact us now. 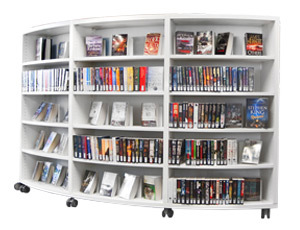 BCI Modern Library Furniture is now available under the Southern Westchester BOCES (SW BOCES) purchasing contract through our dealer, HNE (Health & Educational Equipment Corp.). This award contract is in effect for the 2017-2018 term. Schools and municipalities residing in the Rockland and Westchester County areas are eligible to participate. There’s no better time than now to take advantage of this buying power option. All of the work is essentially done on the pricing side. Bids have been received and negotiations have already taken place. 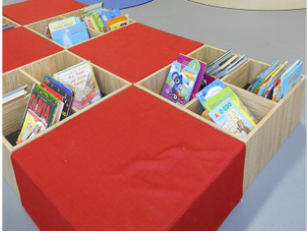 Quality furnishings are hand picked for your school library project. No time is wasted going through the process of searching out products. 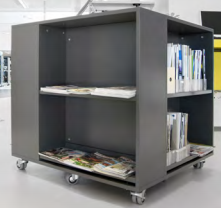 BCI Modern Library Furniture has many options to choose from. 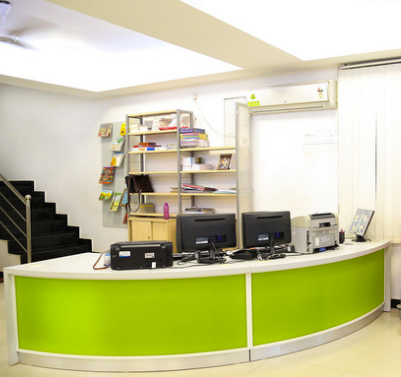 Their offerings range from shelving to seating to information desk systems. Below are some examples of the variety of choices – click on each product to download the brochure. These are just a sampling of the products we offer. 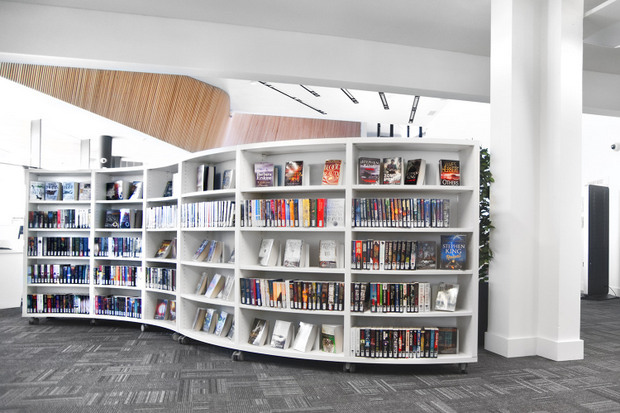 We have expert designers and installers to make your library project a dream come true. There is no limit to our color choices and finishes. 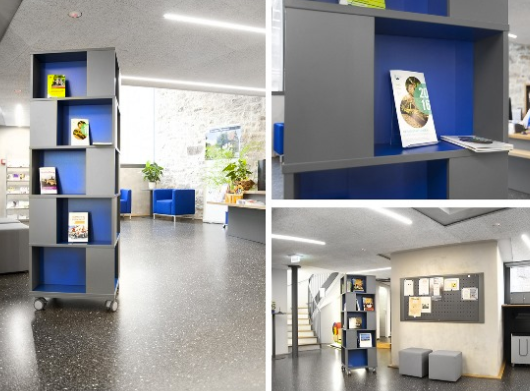 Tap into your creativity and contact us today — BCI Modern Library Furniture can transform your library into the 21st century offering stylish furnishings that are state-of-the-art. 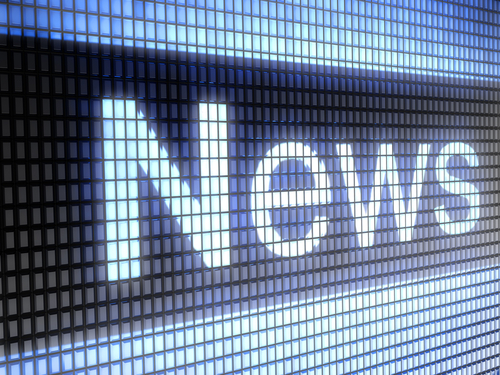 A reminder to the Long Island School Districts in Eastern Suffolk County from our January 18, 2017 post. Purchasing contracts are an excellent way for schools to save time and money, without compromising quality. 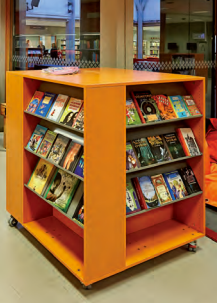 BCI Modern Library Furniture has a multitude of options for your library renovation project. Here is a sample of our product line – click on each product to download the brochure. 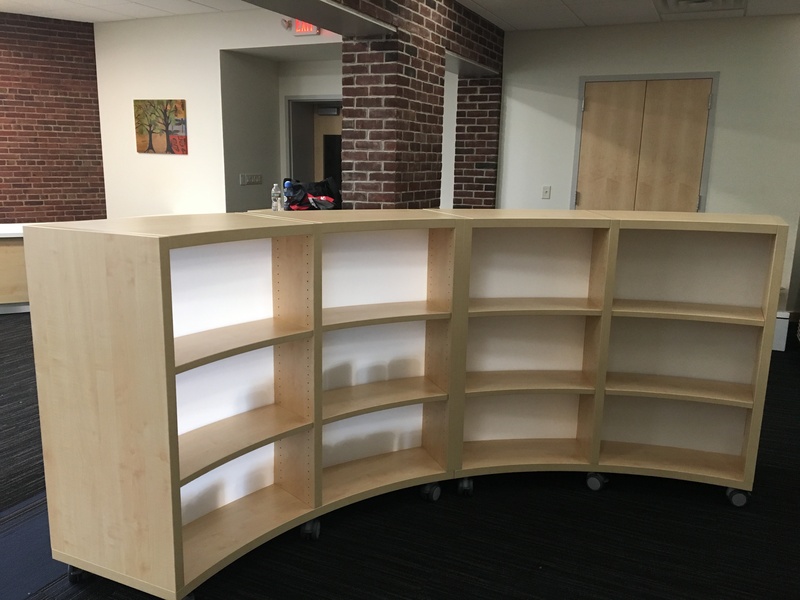 Contact BCI Modern Library Furniture today to find out how you can get started on creating a 21st century library for your school. The Wampus Elementary School, located in Armonk, NY is part of the Byram Hills Central School District, serving grades 3-5. 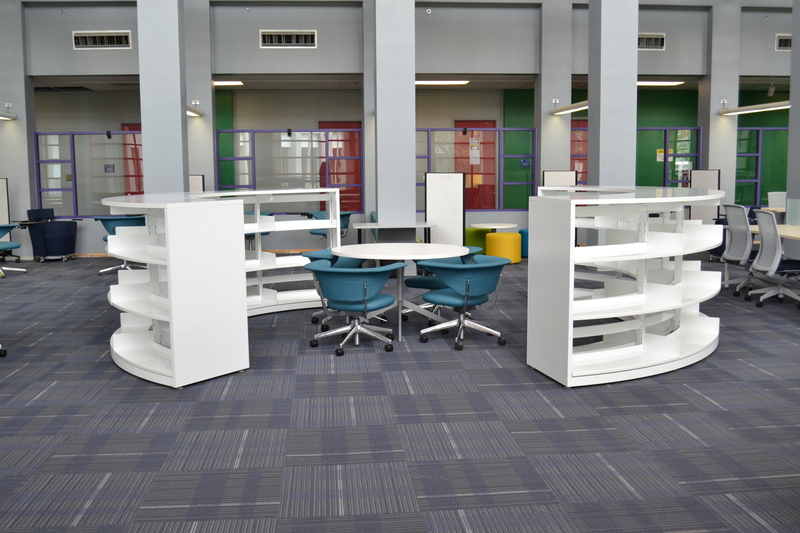 A recent renovation project of the school library was completed with BCI Modern Library Furniture. 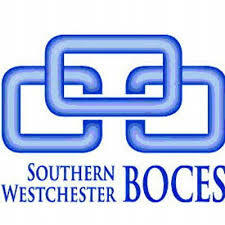 All of the products were purchased through the Southern Westchester BOCES Purchasing Contract. Making use of these purchasing contracts saves time and money, while being able to buy products at a fair cost, without compromising quality. 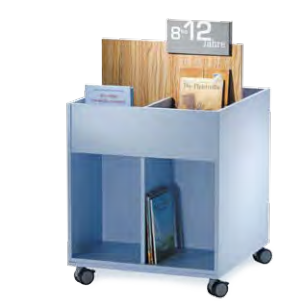 BCI Modern Library Furniture has a wide variety of finishes and color combinations that personalize your library space. 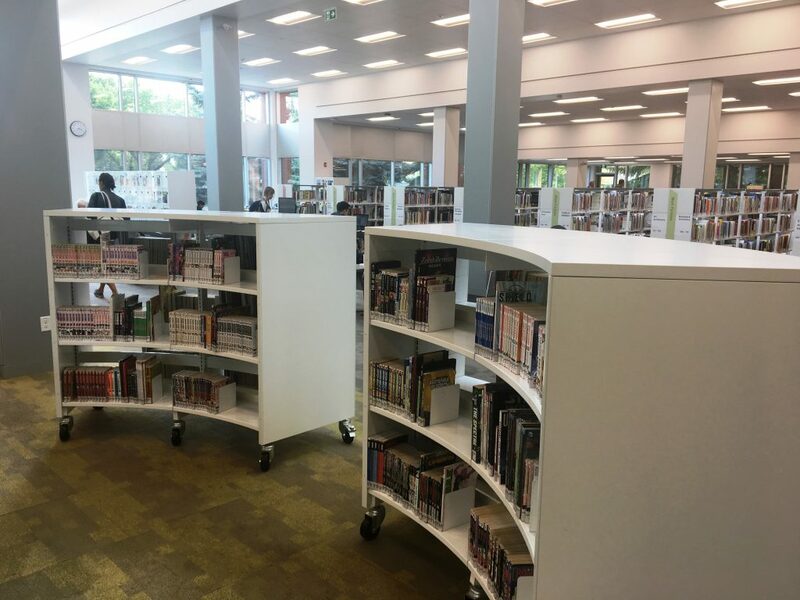 For more information on how BCI Modern Library Furniture can offer design, furnishings and professional installation for your upcoming project, contact us today. Established in 1920, the Beaver Country Day School, located in Chestnut Hill, MA, is an independent college preparatory school housing students in grades 6-12. Currently, there are approximately 450 students enrolled at the school. 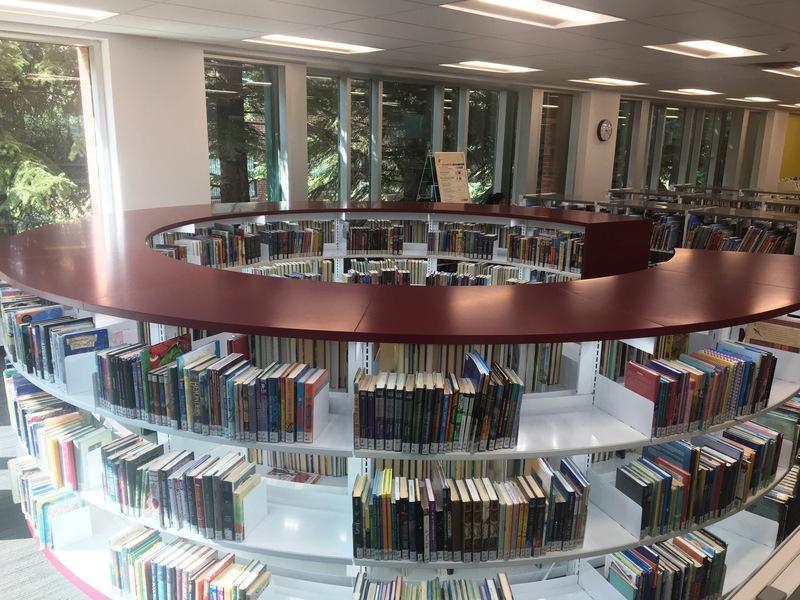 The school is undergoing a renovation project consisting of refurbishing the 15,711 square feet of the actual library and erecting a 22,500 square feet research and design center. Part of the new library will be collaboration, workshop and research spaces. Our BCI Modern Library Furniture dealer, Red Thread, provided the Ratio Square Display Shelving with Casters for the new library. This product can be used to display or house books — making it a versatile option. 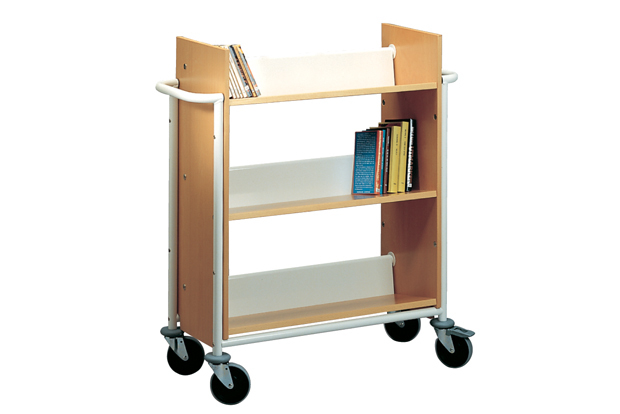 The casters enable the shelving to be mobile. Color choices include a subtle grey to a bright orange. Read more by clicking here to be directed to the Beaver Country Day School website to read more about the project. 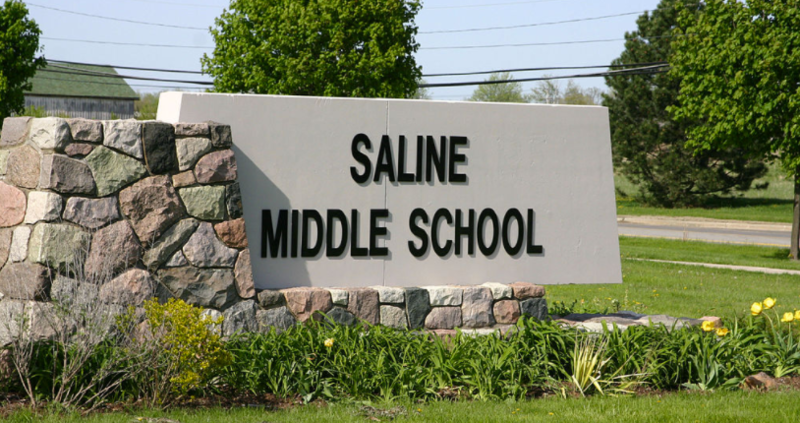 The Saline Middle School, located in Saline, MI serves students in grades 6 thru 8. 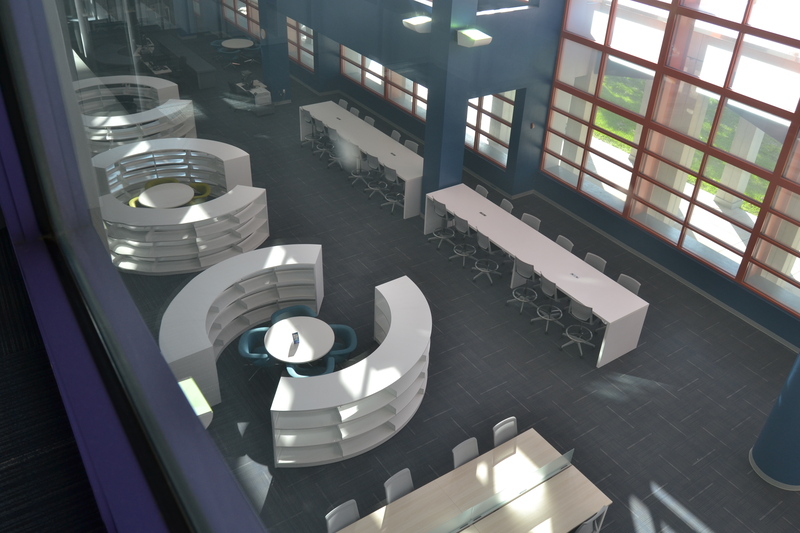 Along with other renovations to the building, the library was also redesigned. 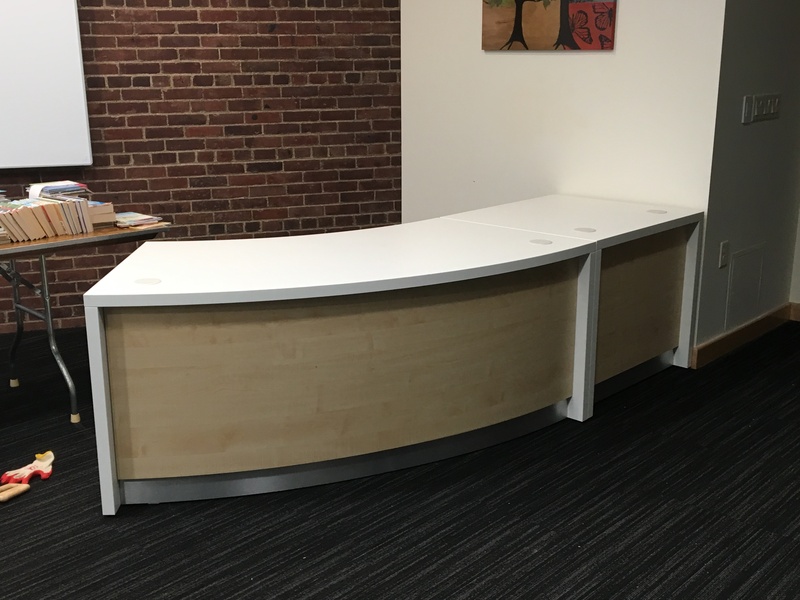 Working with our BCI Modern Library Furniture dealer, Great Lakes Furniture Supply, the INFORM Desk System was included in the project. 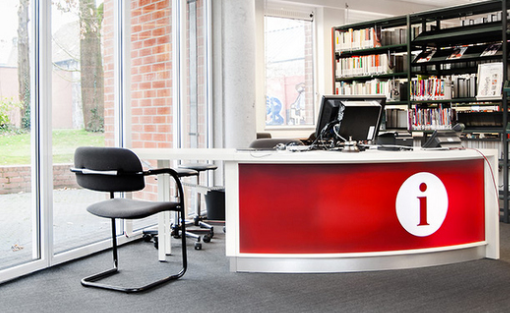 The information desk in many libraries is the first point of contact. Having an aesthetically pleasing information desk in a library entry sets the stage for the experience. Available in solid wood veneer, plastic laminate or steel, the INFORM Desk System also boasts a wide variety of color options. Being built on a 10.8 acre lot in Harrisonburg, VA, The Bluestone Elementary School is scheduled for completion this summer. This $25.9M three-story, 112,000 square foot building will house grades K-5 and will lessen the overcrowding of middle schools by moving the 5th grade back to the elementary level. 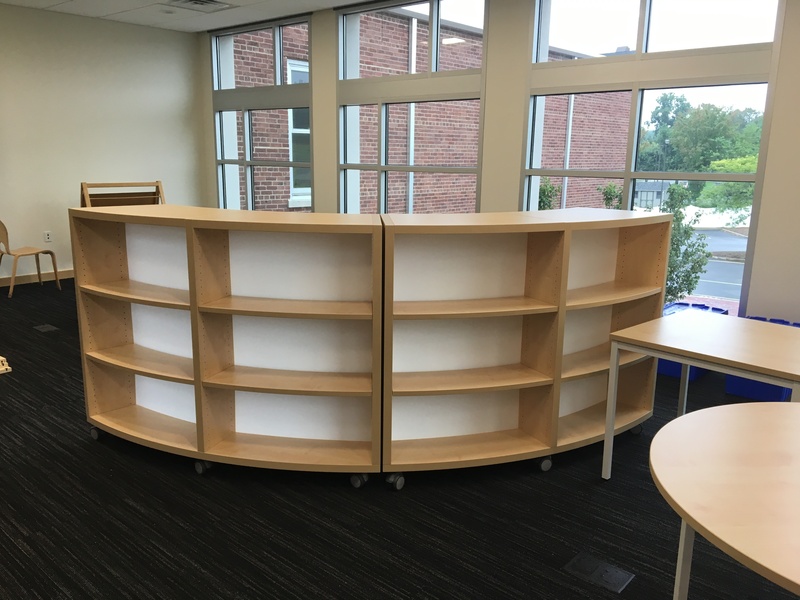 The Harrisonburg City School District worked with our dealer, Diversified Educational Systems, Inc. (DES), to identify and select the most appropriate furnishings for the new library. 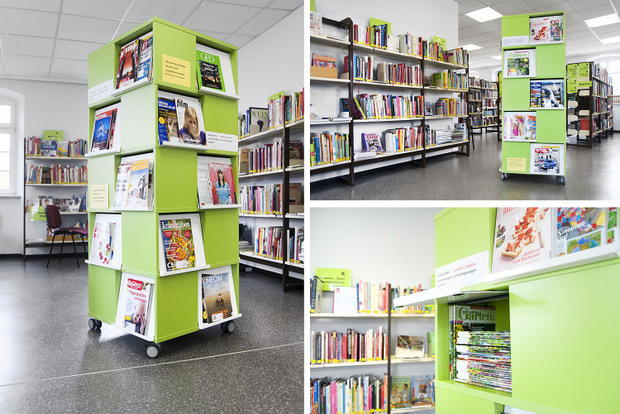 The selections of the book towers, book box, and shelving are a perfect fit for an elementary school library. 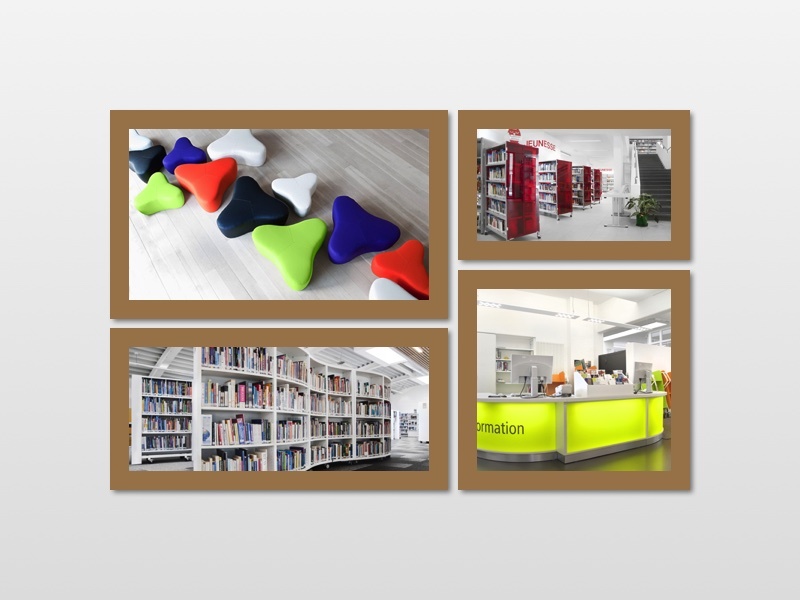 The color choices give the library a whimsical look and feel. Casters on the bottom of the furniture make for easy changes in the set-up. 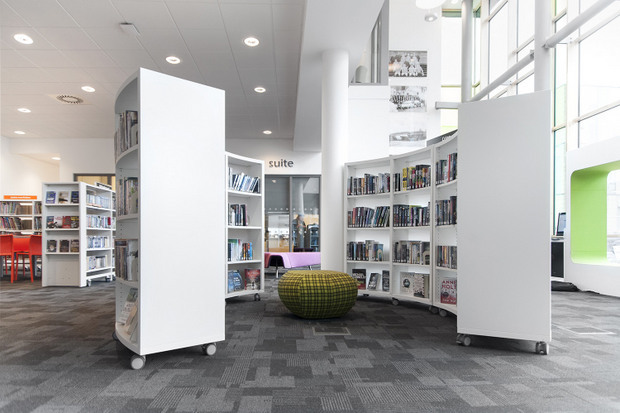 For more information on how BCI Modern Library Furniture can complement your new or renovation project, please contact us today.